An impromptu Easter Brunch we hosted this year! 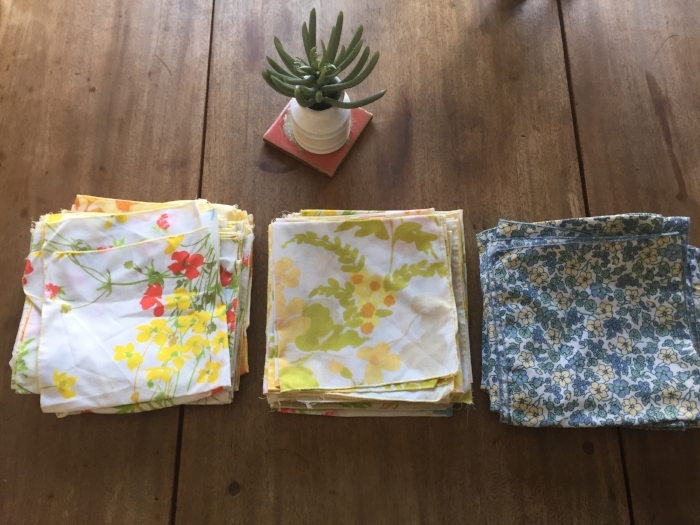 This is something we've been doing before I was consciously trying to make less waste, mostly because I had been gifted beautiful cloth napkins over the years that I just loved using. For our wedding, my Mom and I picked out a bunch of vintage sheets that she surged the edges to make over 100 napkins for everyone to use. It was one of my favorite things at our wedding and now we get to use them every day three and half years later! They are a perfect housewarming gift, birthday gift, mother's day gift you name it, and encourage people to use them! Buy some second hand, make some out of sheets or use tea towels... the possibilities are endless. It doesn't need to just be for special occasions - they are meant to be used! How is your zero waste efforts going? Every little move we make helps, keep up the positive changes.